Let's shop your workman's compensation with Accident Insurance Company. Qualify for Lower Cost Work Comp Coverage with AIC. Accident Insurance Company is one of the fastest growing small carriers in the country and has a progessive appetite for a wide range of business. The company was founded in 2003 in South Carolina and has grown written premium from $8 million to $75 million by 2012. AIC is an A-rated insurance company and consistently offers the best price on workers compensation and general liability insurance for contractors, healtcare, and automotive services. 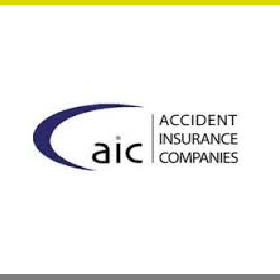 AIC targets employer workers compensation premium between $1,000 and $100,000. They utilize real underwriters rather than rely on computer rating systems which often helps them provide lower rates than many other carriers. Some of their specialized programs include construction, healtcare, food industry, and garage keepers coverage. Our agency works with Accident Insurance Company throughout the United States. Accident Insurance Company is a premier workers compensation carrier. Start a free Accident Insurance Company quote today. Shop your work comp with Accident Insurance Company. At Workers Compensation Shop.com, we work with Accident Insurance Company Insurance Company and other national insurance companies to help business owners find less expensive rates and better coverage for their workman's compensation insurance. Get started online with quotes from Accident Insurance Company Insurance Company and some of our other insurance partners. Or give us a call today at 888-611-7467 to find out if one of our Specialist can help save you money on insurance.